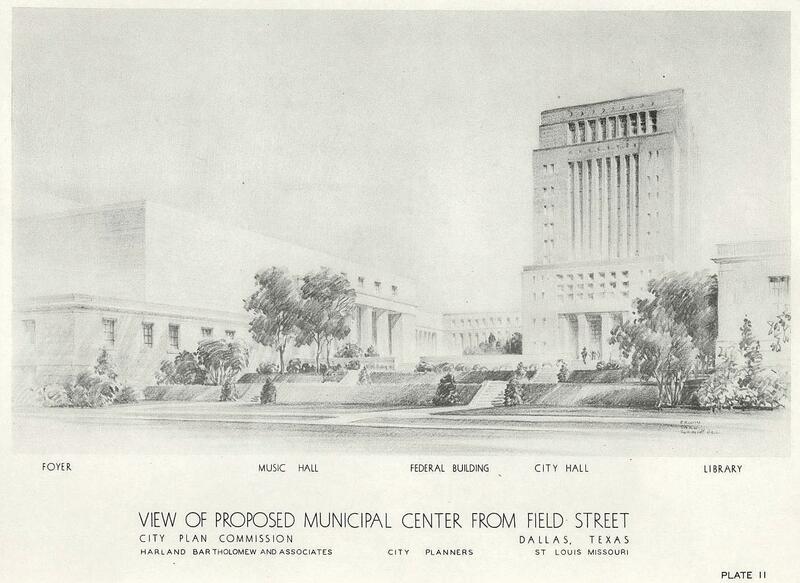 A few proposals from the Dallas master plan for post-war development and planning, commissioned by the city from the St. Louis firm of Harland Bartholomew and Associates (in association with Hare & Hare Landscape Architects). 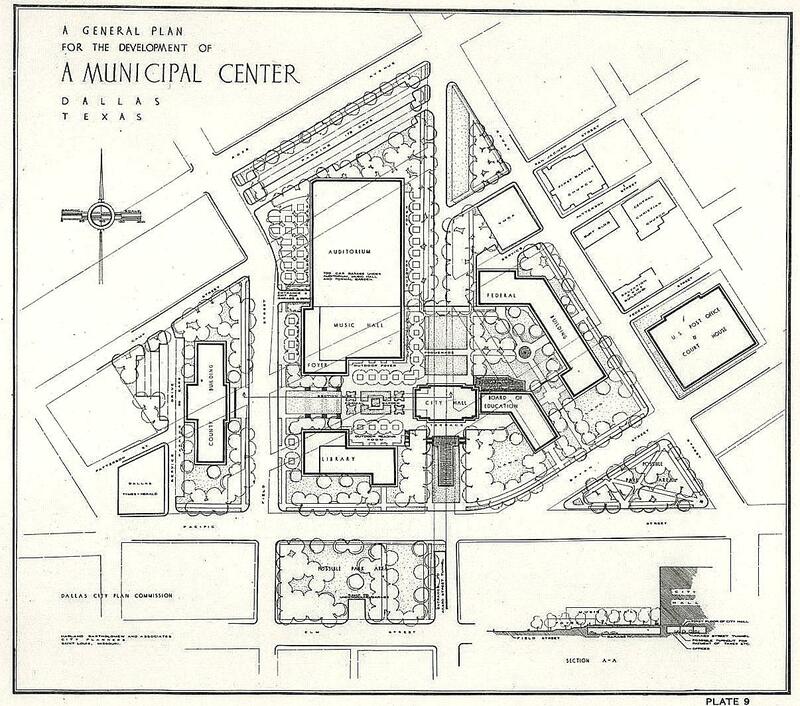 The scanned reports which made up this plan — submitted between 1943 and 1946 — can be found on the Portal to Texas History site, here, courtesy of the Dallas Municipal Archives. 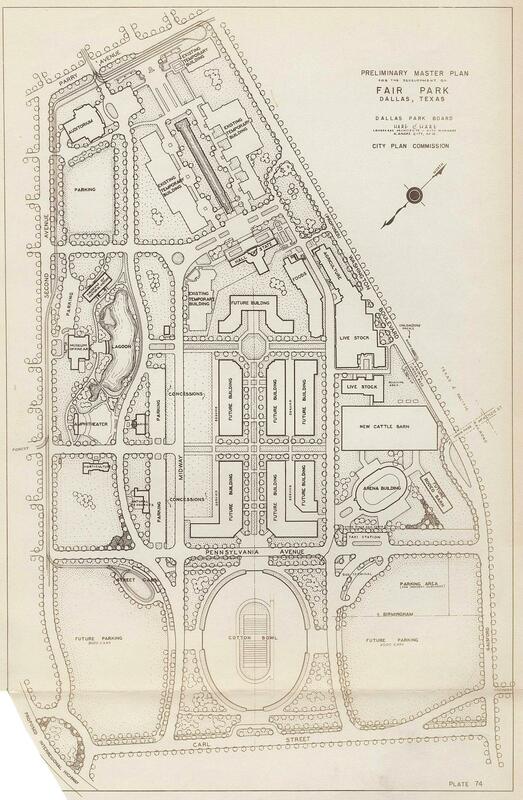 If you’re interested in urban planning and maps, these reports are fascinating. 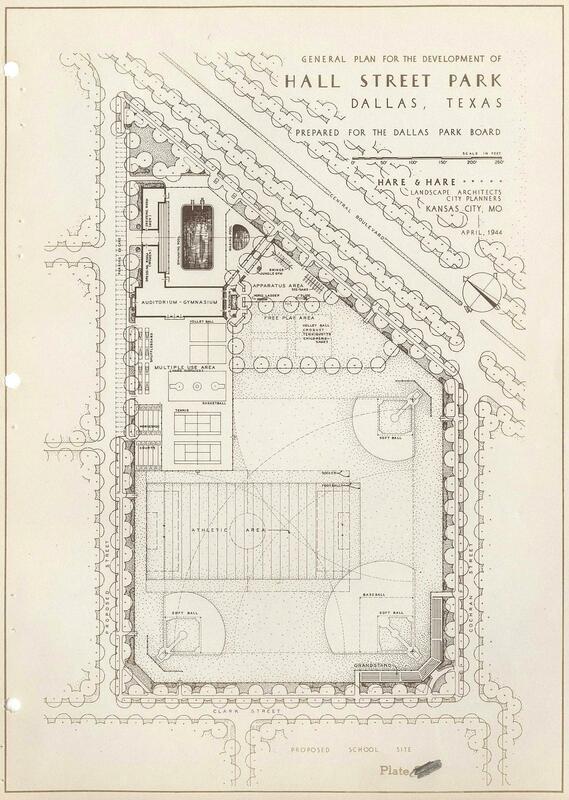 And, lastly, a 1946 plan for expansion of the “Hall Street Park for Negroes.” I’m not sure that any of this ever happened. 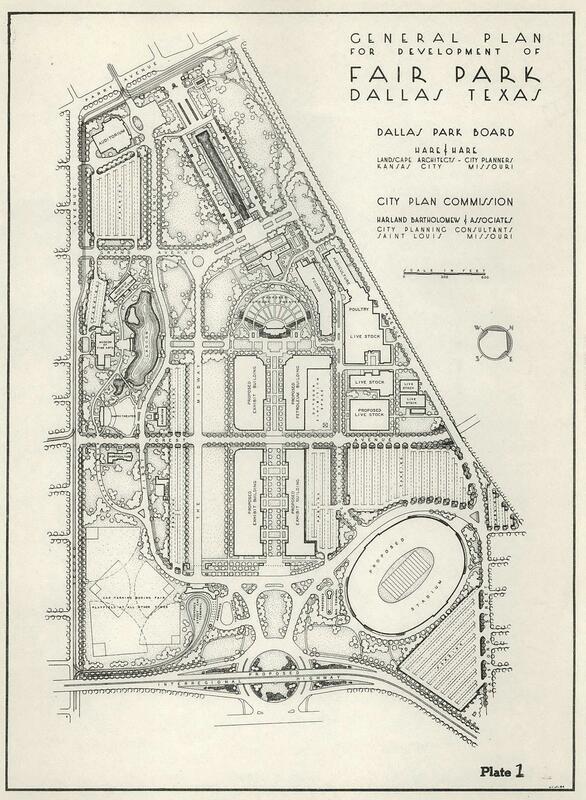 The last mention I see of this park was in 1945 (the first mention I found of the park in the Dallas Morning News archives was 1922, and it had clearly been around for a while before that — perhaps it was absorbed into the existing Griggs Park? “Central Boulevard” would soon be built and renamed Central Expressway, the highway that sliced through the thriving black neighborhood centered around Hall Street. The 1945 plates can be found in the original publication here; the 1946 plates here. 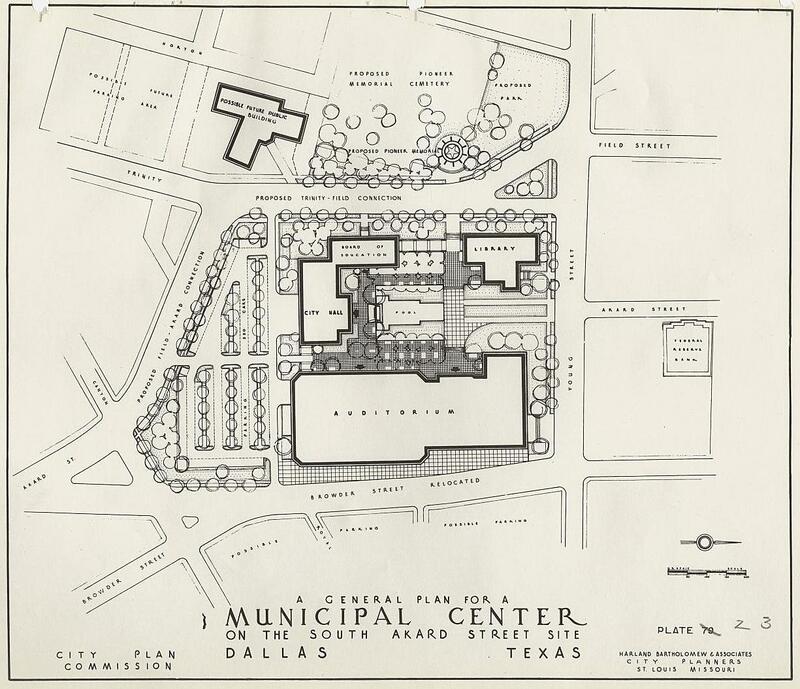 All illustrations are from the Bartholomew master plan proposal; these reports are from the collection of the Dallas Municipal Archives, accessible on UNT’s Portal to Texas History, here. 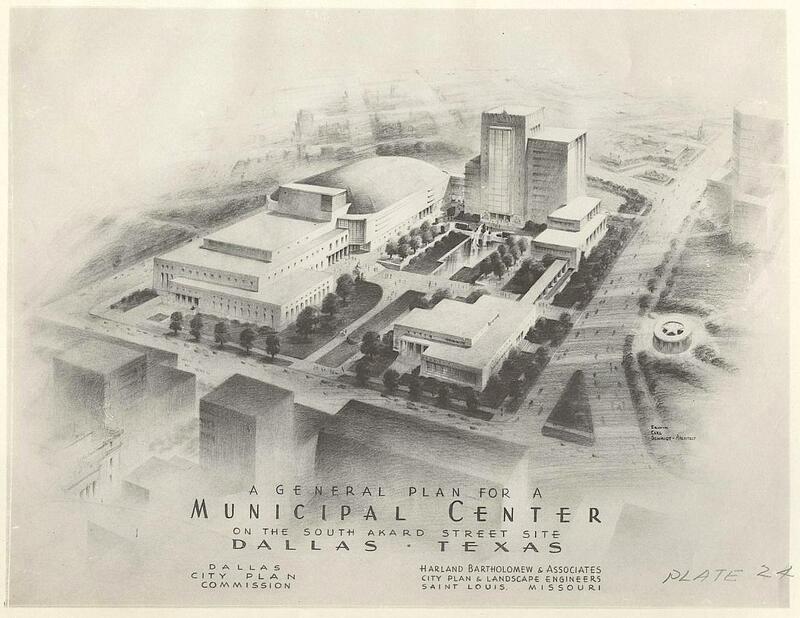 Additional images from the plan can be found in the Flashback Dallas post “‘Your Dallas of Tomorrow’ — 1943,'” here.